On his Christian Broadcasting Network show yesterday, Rev. Pat Robertson said that the nation of Haiti has been devastated by a large earthquake because its people "made a pact with the devil." "Something happened a long time ago in Haiti, and people might not want to talk about it," Robertson said. "They were under the heel of the French ... and they got together and swore a pact to the devil. They said, 'We will serve you if you'll get us free from the French.'" "True story," he continued. "And the devil said, 'OK, it's a deal.' Ever since, they have been cursed by one thing after another." Robertson is infamous for such inflammatory statements. And not surprisingly, the reaction to the controversial pastor's comments has been harsh. "It never ceases to amaze that in times of amazing human suffering somebody says something that could be so utterly stupid," White House Press Secretary Robert Gibbs said at his daily press briefing today. David Waters, editor of the Washington Post's "On Faith" online column, said the time has come for Roberston to stop. "Considering the massive death, destruction and misery in Haiti, it is shameful for anyone -- but especially a so-called minister of the gospel -- to suggest that God or the poor people of Haiti had anything to do with it," Waters wrote. Rev. 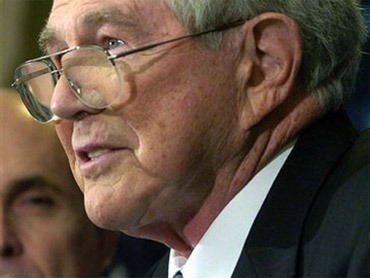 Paul Raushenbush, the religion editor for the Huffington Post, gave Robertson a harsher directive: "Go to Hell, Pat Robertson -- and the sooner the better," he wrote. "Your 'theological' nonsense is revolting. Don't speak for Haiti, and don't speak for God. Haiti is suffering a catastrophe and you offer silliness at best, and racism at the worst." Robertson's comments appear to stem from a part of Haitian mythology. Haiti became the first black republic to declare its independence in 1804, after a prolonged fight. (Read more background information about Haiti here.) It is the poorest country in the Western Hemisphere and has been plagued by political violence -- a history some explain with religious mythology, according to one Haitian-American minister. Minister Jean R. Gelin writes that, as the story goes, a satanic pact took place on Aug. 14, 1791, during a meeting of slave leaders planning to launch their war for independence. Haiti's rough history includes more concrete factors which from the beginning have contributed to its unstable state. For instance, Haiti was forced to pay France 90 million francs -- a huge sum -- over the course of decades under the Royal Ordinance of 1825, in which French King Charles X demanded restitution for the loss of France's colony in exchange for diplomatic recognition. The country was long oppressed by dictators and corrupt leaders. "The people of Haiti have been used and abused by their government over the years," Shep Smith of Fox News said yesterday in addressing Robertson's remarks. "Hundreds of thousands of desperate human beings need our help, our support, our money, and our love. And they don't need that." There are a number of ways in which people can help the victims of the earthquake, which you can check out here.